Alex Angulo, 4-years old, was killed by at least one of his foster family's rottweilers. UPDATE 01/14/09: In response to the recent dog mauling death of 4-year old Alex Angulo by his foster family's rottweiler, Rep. Rosemary Mulligan (R-Des Plaines) said the Illinois House committee that oversees the Department of Children and Family Services might consider tough legislation outlawing dangerous dogs in foster homes. DCFS officials are awaiting results of an independent inquiry by a Child Death Review Team before deciding to make any changes. The Cook County Public Guardian also on Tuesday called for more stringent controls over how foster families with animals keep a child safe, saying it's too easy for small children to accidentally provoke animals. The case of Alex Angulo, who was killed by one of his foster family's rottweilers, continues to grow more tragic. After being tossed around to several homes, in 2007 he was placed with a 77-year-old woman who had just renewed a foster-care license that was originally granted in 2000, according to DCFS officials. Though Alex had some behavioral issues, he showed a positive attitude in school and overall, state records showed that the foster home seemed to be working. After the placement, workers found that Alex's foster mother was "maintaining a safe and appropriate environment" for the boy. His foster mother loved the boy like her own son, records noted. But in December, a Juvenile Court judge determined that Alex's foster home was not a good fit in the long run because of his foster mother's advanced age. The goal was to move him to a home in which the parents could eventually adopt him. This move would never happen. One week prior to the move, Alex was killed by his foster family's dog. Kendall Marlowe, a spokesman for the Illinois Department of Children and Family Services said, "There was an understanding that the dogs lived outside, and the child would not have unsupervised contact with the dogs." Cook County Public Guardian Robert Harris said those precautions were not adequate or even realistic. "Don't place a 4-year-old in a home with two big wild dogs," Harris said. "You don't just say, 'OK, the kid won't go out into the yard,'" he said. 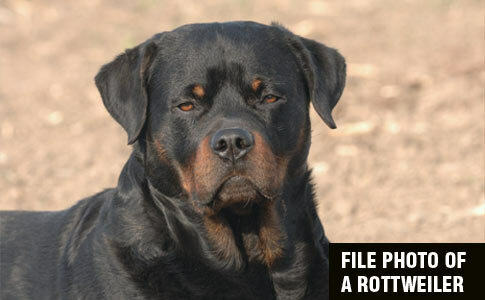 Chicago, IL - In a developing story, a 4-year old boy was mauled to death by at least one rottweiler on Chicago's Southwest Side. Three dogs were removed from the home; two rottweilers and a poodle. One of the two rottweilers is believed to be responsible for killing 4-year-old Alex Angulo. A fire department spokesperson says the boys' father was out front using a snow blower while the child was in the backyard playing with the dog when the animal attacked and killed him. Neighbors said the family had put in a fence recently, trying to make sure the dogs did not get onto the sidewalk or into the street. A "Beware of Dog" sign also hangs from the home's tall wooden fence. Other neighbors reported the dogs were menacing and that they were afraid of them. It is unknown if any of the dogs had previous biting incidents. The Department of Children and Family Services is investigating an allegation of neglect in connection with Alex's mauling death. A "Beware of the Dog" sign hangs on a fence of the home where a boy was killed by a rottweiler. So Animal Control and the city knew these dogs were aggressive, received complaints, but didn’t confiscate them. They and the parents should be charged with crimes. None dare call it MANSLAUGHTER! This is so awful. That poor little boy. Don’t states have laws or guildlines for placing foster children in homes with large powerful dogs?! These agencies (IDIOTS!) have no excuse for sending these children to slaughter. You got that right Dude. There should be an inspection of any home prior to placement of foster children. Any caseworker who approves a foster home with dogs like this should face criminal negligence charges. Last week in Zachary, La. a Man rescued a 10 year old boy from two pit bulls. He cut one of these animals with a knife to get it off the kid. of course the idiot owners are worried about the dog rather than the kid. This was not covered by the local media in Baton Rouge. How many days will we go this year before we see a report on a child or old person mauled or killed by one of these animals? WHAT?!?!? How could that be? The media’s only purpose is to slander pit bull! Interesting…I met a woman today in Petsmart, while I was looking at the cats up for adoption…she told me that a different Petsmart refused to adopt out a cat to her because she had a Rottweiler. So the humane adoption agencies do a better job protecting cats than DYS does protecting children. How terribly, terriblly sad. Another child killed in Hanover PA yesterday by a large “mixed breed” owned by her “guardians”. We need to get the bully breeds included in child endangerment legislation. In my opinion any parent who has one of those breeds and a child get biten or mauled, the parent should be charged with endangerment and the children placed in foster homes. Sounds cruel to take children away but it’s better than having them die. I know of a case where two breeding rotties killed a 2 year old girl. No charges because the child “solicited” the killing by coming into the dog’s territory. Laws need to be changed so that children are not blamed for their own deaths. That is what I am working on. 4/25/2002 — WARE, Mass. (AP) The state has agreed to pay $260,000 to the mother of a 5-year-old boy who was killed by a dog while in foster care last year. Kyle Ross was mauled to death by a Rottweiler last June 9 outside his Springfield foster home. In addition to the money, which will be paid over time into several trust funds, Ross received a face-to-face apology from the leader of the state Department of Social Services and the right to comment on the new department policies for screening foster parents. Kyle Ross’ death triggered a three-month state investigation of 3,776 foster homes and the closure of eight because of aggressive animals and other problems. It also prompted new regulations about how foster parents are selected and what pets they can have. I knew this kid and even taught him in Sunday School. He WAS with a GOOD family before the courts drug out the paper work for so long until they decided to move him to a DIFFERENT home even though the one he was in was with family members. This is such a tragedy.